Free Concert at Stern Grove Festival featuring The Revolution | Big Blu Soul Revue! Celebrate the finale of Stern Grove Festival’s 81st Season with the music of a legend, featuring the funktastic sound of The Revolution. Local band Big Blu Soul Revue opens the show with classic soul swagger. The Revolution—Wendy Melvoin, Lisa Coleman, Bobby Z, BrownMark and Dr. Fink—is the band behind the music icon, Prince. Merging funk, rock n' roll, rhythm and blues, pop and psychedelia genres, the band is considered to be one of the most successful music acts of all time. The Revolution rose to international fame in the mid-1980s with Purple Rain, and went on to have multiple Top 10 singles on the Billboard Hot 100 chart, and win three GRAMMY® Awards and three American Music Awards. The band officially disbanded in 1986, but The Revolution remained close throughout the years. Following the tragic passing of Prince in 2016, The Revolution reunited to honor his musical genius and pay tribute to Prince by playing the music they helped create with him. Big Blu Soul Revue bring the soul of San Francisco to every live performance with their ‘60s and ‘70s funk and R&B-inspired sound. Big Blu Soul Revue’s latest album, Tongue & Groovin’, features the single “Twenty-Five Miles,” a fiery remake of the classic Motown hit by Edwin Starr. Formed in 2012 by guitarist/vocalist Jason Movrich (The Mission Players, Jason Movrich & Friends), Big Blu Soul Revue is comprised of many of the Bay Area’s premier musicians. 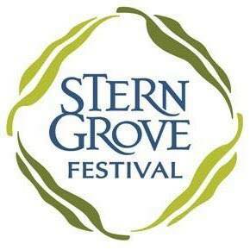 Stern Grove Festival has brought eight decades of the best performing arts — completely admission-free — to the people of the Bay Area. With your ongoing help, the Festival can continue for generations to come. Provide high quality performances, free of charge, for all Bay Area residents and visitors. Provide paid performance opportunities for professional artists and performers. Serve diverse audiences by presenting a season of varied genres and artists. Enhance San Francisco's renown as a cultural center. The concert is free and open to the public. Concert meadow seating is available on a first come, first served basis.